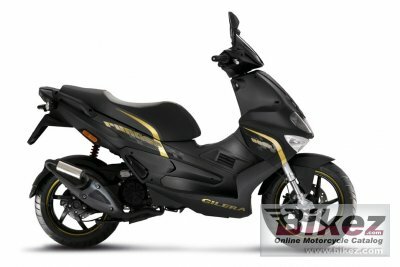 2016 Gilera Runner 50 Black Soul. Picture credits - Gilera. Submit more pictures. The sporty profile of the Gilera Runner hides a chassis which goes beyond the levels currently used in the scooter world. The double cradle chassis is made from high strength steel with pressed metal reinforcement, following a construction design which seeks maximum torsional rigidity and achieves one of the highest possible capacities for shock absorption. The result is rigorous dynamic performance and complete usability of the power generated by the engine. Ask questions Join the 16 Gilera Runner 50 Black Soul discussion group or the general Gilera discussion group. Bikez has reestablished Bikez.info motorcycle web shop overview. Here we present the major online shopping possibilities for motorcycle parts, gear and accessories. This includes customizing and insurance. Search and compare products and prices. Try our 2016 Gilera Runner 50 Black Soul discussion forum if you have questions or comments. Information about any technical issue is always welcome.